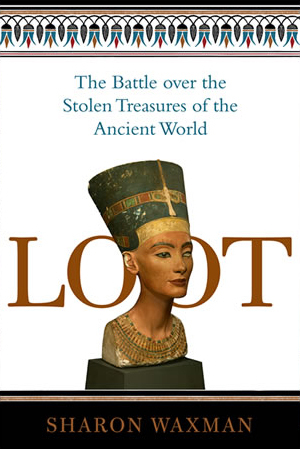 We just finished the new book by Sarah Waxman, Loot: The Battle Over Stolen Treasures Of The Ancient World. The book is a fascinating account of the culture war that is the resitution of ancient artifacts in Western museums. Institutions such as The Louvre, The Metropolitan Museum of Art, and The British Museum are turned inside out by these demands, and the author does a superb job of detailing all of the issues at play. She is remarkably agnostic about the arguments at play, and instead wisely focuses on the powerful questions that now arise. Do ancient artifacts belong in their home country where they can be seen in context, or are they better displayed alongside other civilizations in the great encyclopedic museums of the West? Should they be returned when the host country cannot insure their security, much less state of the art curatorial technology, even if the artifacts have unknown (therefore probably looted) provenance? Are colonial-era agreements (always written by colonists) that allowed some artifacts to leave their home countries legally still valid today? The wheels spin on these issues and Waxman is content to let them spin. Along the way you will learn fascinating inside stories about museums and artifacts you probably already know and love (the Rosetta Stone, the Elgin Marbles, and my personal favorite, the Zodiac Ceiling), as well as see museums in a greater historical, and now political, context. The book is available for purchase from Amazon. Buying it here helps support Tropolism.